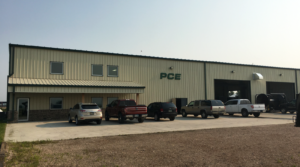 Puck Custom Enterprises, a premier manufacturer of fluid delivery and manure application equipment, will be hosting an open house at its Worthing, South Dakota location on August 17. Coming directly after the North American Manure Expo one hour away in Brookings, the event will allow local applicators, farmers and residents to see the facility and learn more about Puck Custom Enterprises. The open house will include a live pump and LightSpeed Pro control system demo throughout the afternoon and walkthroughs of new equipment. Sales and control system specialists will also be on hand to talk more in depth about PCE’s equipment and services. Lunch will be provided, and attendees will have the chance to register to win a LightSpeed Pro pump control system. The company’s Worthing location opened in the fall of 2016, and offers new and used equipment, parts, servicing and uplifting of equipment and pumps, and pump control setup and installation. With Worthing located at the the intersection of Interstate 29 and Interstate 90, this store makes it easier for Puck Custom Enterprises to reach customers in northwest Iowa, northeast Nebraska, South Dakota and Minnesota. The location is also convenient for customers to find for their routine and after-hours parts and service needs. The open house will run throughout the afternoon on Friday, August 17, from 12:00 p.m. to 5:00 p.m. PCE’s Worthing location is at 47086 Pioneer Street in Worthing, South Dakota. Questions can be directed to 712-655-9202, or the toll-free number, 833-655-9202.